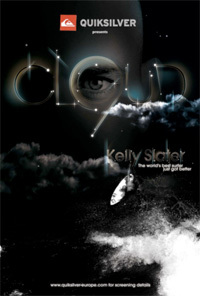 Kelly Slater the world’s best surfer just got better. With 8 world titles to his name by 2006, Kelly Slater was considered to be the Tiger Woods or Tony Hawk of surfing. When the man who was the youngest ever world champion aged 20 decided to seek an historic 9th world title at 35, his place in the sporting hall of fame was secured. 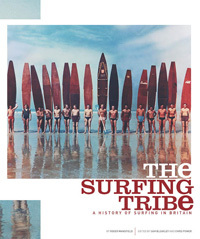 The Surfing Tribe, by veteran Newquay surfer Roger Mansfield, is the first book to document the rise of surfing in Britain from the 1930s to the modern day. The 208-page hardback, with over 200 classic and iconic photographs, many of which have never been seen before, is published by Orca Publications on 1 June. As you might have noticed, that time of year has arrived where you have to put your flip flops away in the back of your wardrobe. So if you’re looking for something cool to wear this winter you could do a lot worse than considering a pair of trainers from Kustom’s new range. With a variety of trainers designed to suit any style, they have a wide range of colours, styles and materials to suit any personality. Vans has produced a shoe range in collaboration with Pukas, the world renowned and leading surfboard producer in Europe. Pukas have taken the iconic classic slip-on style and produced four unique colourways featuring the repeated Pukas logo. Professional surfer Nathan Hedge rides the latest Eden Project eco surfboard – the most sustainable board in the world – on Fistral Beach, Newquay for the Eco Tag Team Contest at the Rip Curl Boardmasters Surf & Music Festival. The vast majority of the 750,000 boards sold each year are made from oil-based plastics with little thought to the environmental impact of either their manufacture or disposal. The Eden eco board project has been running for four years with the aim of seeing all boards manufactured using sustainable materials and processes. Four revolutionary eco-friendly surfboards are being exhibited by the Eden Project at the Rip Curl Boardmasters Surf & Music Festival at Fistral Beach, Newquay, until Sunday (August 12). The boards are being heralded as “the most sustainable in the world to date” and two will be surfed by professionals in the Rip Curl Eco Tag Team Contest during the festival. 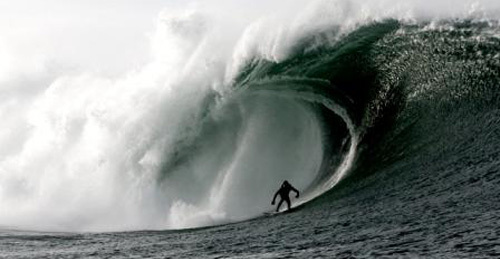 Every year approximately 750,000 surfboards are manufactured worldwide. The vast majority of these are made from oil-based plastics with little thought to the environmental impact of either their manufacture or disposal at the end of their life. Eden has been working on its eco board project for four years with the ultimate aim of seeing all boards manufactured using sustainable materials and processes. It is the latest thing to bounce onto our desk in the Coldswell office and apparently it’s this summer’s hottest beach craze. An innovation that is a ball that actually bounces on water! If you’re looking for some entertainment during those long flat spells between your surf sessions this summer rather than just lounging around in the sun all day the Waboba Ball could be the answer! You can skip it across the water like a flat stone or bounce it hard and it’ll go high, then catch it and throw it back! Faster than a Frisbee, there’re loads of games you can play with a Waboba Ball that all add to the fun of a day at the beach. It is made of a squishy polyurethane with a lycra coating, its mix of different materials is the secret to the way it bounces and floats on water and It also comes with instructions on how to play the Waboba game. Gone are the days when flips flops were things you’d buy on your holidays to last you two weeks at most. Flip flops are becoming a more popular choice of footwear in all aspects of life and as such have been getting much more well made. We’ve had some Calafinas sent through to the Coldswell office this week from Merrell that are the highest quality we’ve ever come across. They certainly don’t come cheap at 40 quid a pair but you can see where your money is going. With a full grain leather upper, smooth pig skin lining and cow suede leather footbed your foot really feels like they are having a treat. The sculpted sole is very chunky like you might expect from a Merrell walking boot and contains an air cushion for added cushioning. You’d definitely never feel any stones through these bad boys. However it is the heavy soles that is the downside to these flip flops. Although you might be living in the height of flip flop luxury, if you are planning on doing a lot of walking the weight of the base can put a lot of strain between the toes. And even though they do look good enough to wear to the office, when you slip your foot out, the suede beneath your feet does look quite worn out pretty quickly. Merrell sandals have long been known globally for their comfort, durability and fashionable beach styles and the Calafina are no different. The build quality is second to none and they look fantastic, just don’t plan on wearing them for any long treks or the hefty weight might give you a bout of toe strain! What do you normally do when between sessions or when the surf just doesn’t appear? Well this summer we have a new suggestion. Do you remember Twister? Yes, that game where you had to bend yourself around your chums on a smelly plastic mat? Well now you can get The Twister Beach Towel! This huge beach towel is not just for drying yourself or for lying on while soaking up the rays with but for getting stretchy with your mates in your swimwear whilst slathered in sun oil on the beach. Perfect for keeping your joints supple and flexible, ready for your next surf. The towel comes with a pair of tethered inflatable oblong dice that you lob about to find out where to stick your bits. The beaches of the world will never be the same again.